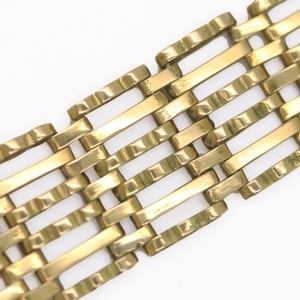 English Yellow Gold Gate Bracelet at Reliable Gold in Providence, RI Reliable Gold Ltd. The prettiest every day bracelet around! Wear this 12K yellow gold "gate" bracelet with anything for a beautiful look.